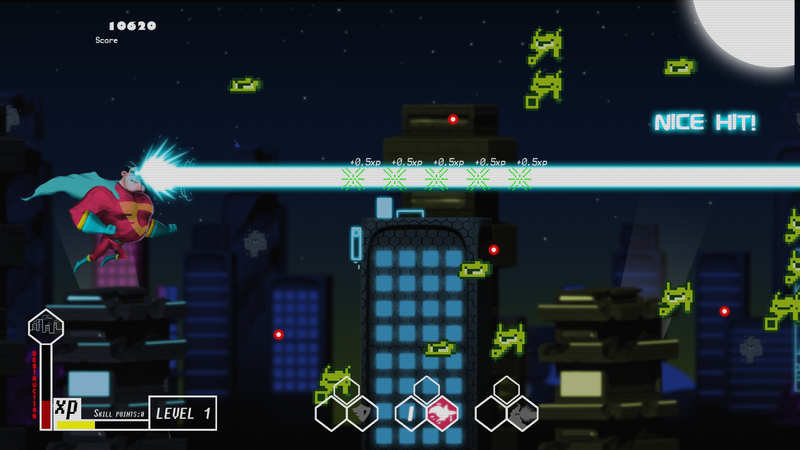 The Pixel Invaders have targeted Earth for its destruction! But we don’t have to worry, with the help of Super Captain 3D and you; the Invaders can be stopped and have peace returned to our world. Fight these evildoers and return them back to where they belong. A shoot-em-up where you are a Super Hero. 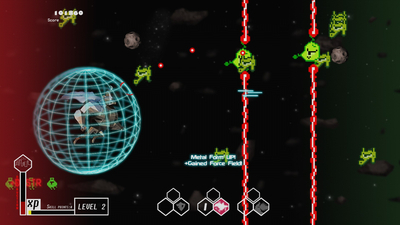 Use your Metal Form, Laser Beam and Light Speed to defeat the Invaders. Gain Experience fighting enemies to level up your Super Powers however you see fit. SUPER Power-ups! Spread shot, Pierce shot, Explosive shot and Orb Shield! No lives! 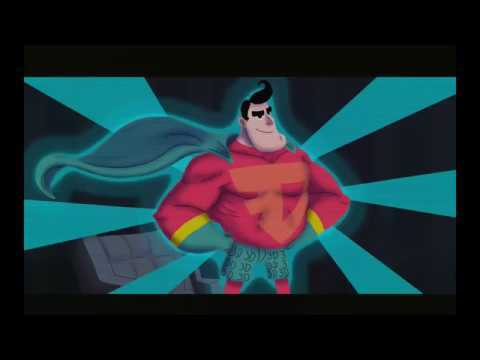 As an invisible Super Hero your job is to protect your City, Earth and even the Galaxy or else it's Gameover! Traverse 8 different stages in the Story Mode, including the skies of a city or the vast space. Fight over 20 kind of aliens, including 4 evil bosses. Secret unlockables that further develop the story and add more gameplay! A Super Heroic original soundtrack full of electronic beats! Super Captain 3D is an unimaginative shooter that is a follower rather than a leader in the genre. Despite its heroic protagonist, this title plays the part of a villain.